What do I Stand to Gain? | Run Inspired. As with all family events that I attend and get to chat with my fabulous cousin Dan, I always leave with a little more knowledge than I had when I got there. Saturday night’s take away, go listen to episode #57 on Rich Roll’s podcast. Dan and I are both pretty avid podcast listeners (Ben Greenfield, The Good Life Project, Dave Asprey), but I’m not always as up to date as he is. Therefore, yesterday morning, I downloaded the podcast and headed to the gym. What an enlightening 1 hour and 11 minutes! If you want to know what the podcast is about, you really need to just go listen to it. I can’t relay the information or the emotion the same way that Rich Roll and Jeff Spencer do. But I would like to share a small point from the podcast that I think has fundamentally shifted my way of thinking. There are seven parts to the champion’s blueprint and I actually listened to the podcast again today to make sure I fully understood all seven parts. Yesterday, step one, legacy, really resonated with me. Today, step two, mindset, struck a chord with me that has honestly shifted my way of thinking about things. There were a lot of things Mr. Spencer said about mindset but my favorite line was when he said The champion doesn’t ask What do I stand to lose? The champion asks What do I stand to gain? The month of January will bring about a lot of scary and exciting changes. Other than being unemployed and having to create my vision from the ground up, I will also start training once again for the Boston Marathon. Now sure, training for a marathon isn’t that out of the ordinary for me. But this race is different. This race showed me defeat in 2012 like I have never known before. I can not, nor will I, let that happen again. Personally, I feel that I have an athletic potential that I have yet to reach. I know I can accomplish so much more than what I have done so far. Yes, I’ve run some fast times but never once in my marathon running career, have I arrived to the start line being fully trained and uninjured. In fact, my 3:26:46 time in Chicago was after 2 months off from any real training. If the three times that I have Boston qualified have been with absolutely no serious training, I know I can be so much faster. I like the pain. I like the hard work. This is something I want so badly, but wanting it isn’t enough. So what does this have to do with the question What do I stand to gain? Well it has everything to do with that question. What do I stand to gain is a mindset. If every action that I take throughout the day is centered around that one question and if I have my legacy clearly defined, I will better prioritize. I will stop being afraid. I will stop being lazy. And stubborn. If I can answer the question what do I stand to gain by running at an easy pace? with you’ll better recover from the workout yesterday, I’ll slow down. I know I love to overtrain and 7:30 miles aren’t really an easy pace. Like I said, I will prioritize. And as I enter into the world of unemployment, if I can answer the question what do I stand to gain by making new contacts, asking questions, or putting myself out there for ridicule and critique with the answer you’ll be a step closer to achieving your career goals, then that’s okay. I’ll do it. The two questions, what do I stand to lose and what do I stand to gain, are the same question, but with two different focuses. If we are always counting our losses or focusing on the bad, then how can we ever expect to move forward? It is those who are willing to risk the most, who stand to gain the most. 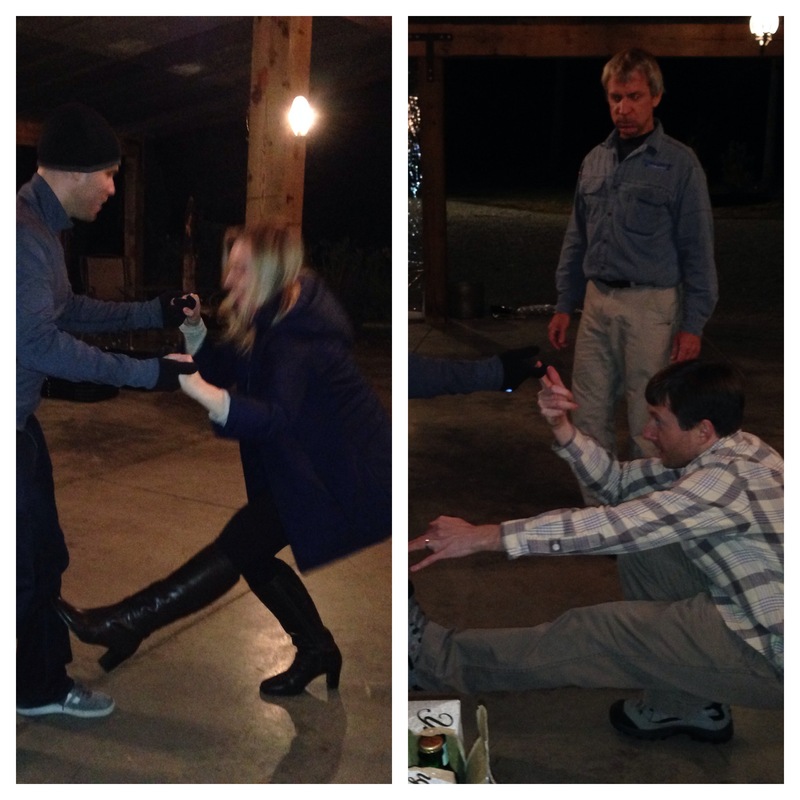 And this is how we spend our Saturday nights… attempting pistol squats. Very inspiring post, all the best of luck with the training. Love the photos, a couple of nights ago we were practicing plank to press ups with our feet in a hammock! Exercise is always fun and never just for the gym!